We are happy that you are here, and we hope you will find the piano of your dreams. We have made every effort to provide you with the finest instrument at the lowest possible price. We strive to provide the best possible service that you would expect when searching for your dream piano or instrument. Piano Music Center has a large selection of new Yamaha, Young Chang, Roland, and Kawai grand pianos, baby grand pianos, consoles and upright pianos. 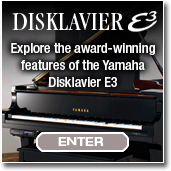 We have a large selection of Yamaha Clavinova digital pianos and Yamaha Disklavier player pianos. Pre-owned pianos are also available. Please stop by one of our locations to view our current inventory of pre-owned or used pianos. You might just find that right piano at an affordable cost. Our exceptional prices, outstanding customer service, and huge selection make us the superior source for all your piano needs. 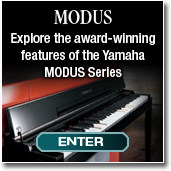 Piano Music Center is Yamaha's only authorized piano dealer in Miami-Dade County, Broward County, and Monroe County. At Piano Music Center, OUR PRIMARY GOAL IS MAKING SURE OUR CUSTOMERS ARE TOTALLY SATISFIED. Piano Music Center has satisfied customers from Belle Glade, Big Pine Key, Boca Raton, Boynton Beach, Broward County, Dania, Deerfield Beach, Delray Beach, Fort Lauderdale, Hallandale, Hialeah, Hollywood, Homestead, Islamorada, Key Biscayne, Key Largo, Key West, Lake Worth, Loxahatchee, Marathon, Miami Beach, Miami, North Miami Beach, North Palm Beach, Opa Locka, Pahokee, Palm Beach, Pembroke Pines, Pompano Beach, South Bay, Sugarloaf Shores, Summerland Key, Tavernier, West Palm Beach, Weston and more. Copyright � 2016. Piano Music Center. All Rights Reserved.